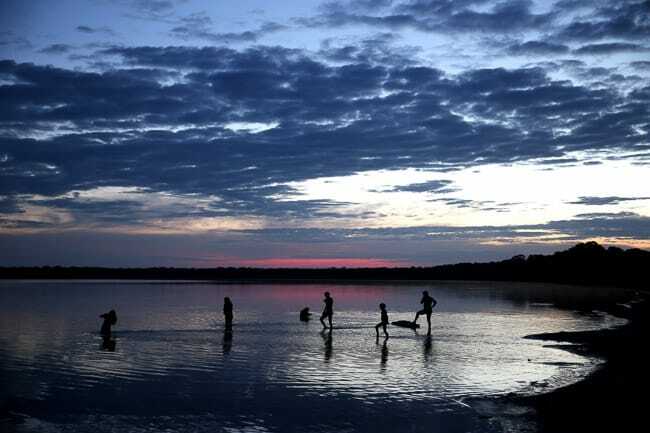 In 1961, the Brazilian government created Xingu National Park in the middle of the Amazon rainforest to protect the environment and the indigenous population of the area. 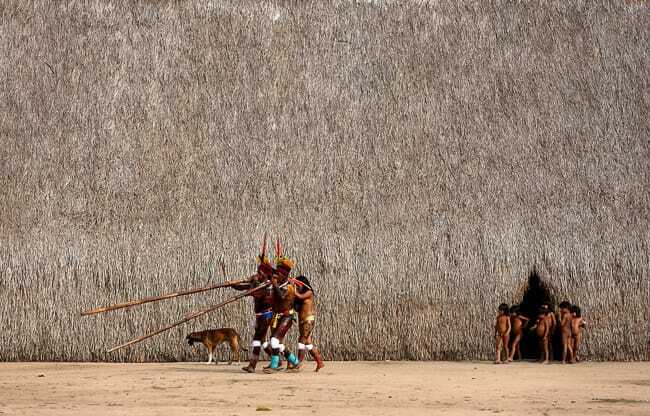 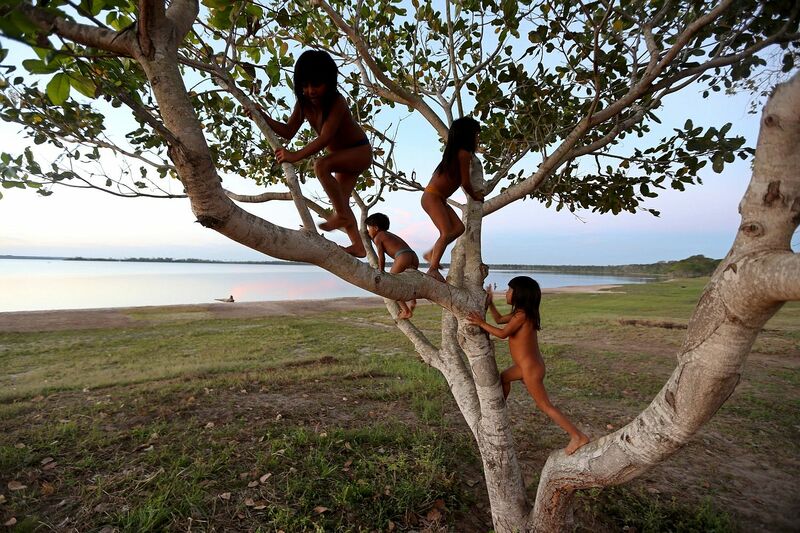 Within the park, there are approximately 4000 Indians from 15 tribes living along the Xingu River. 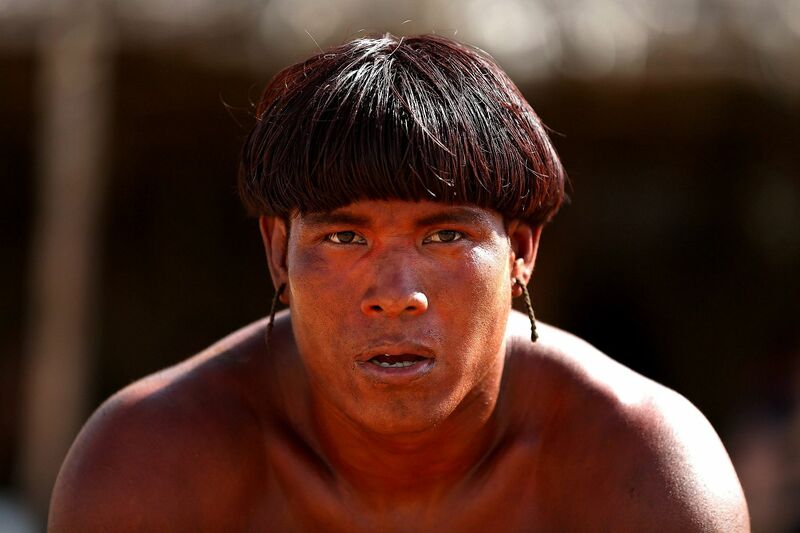 This story focuses on the Kamayura tribe in the Xingu National Park. The Kamayura village, which is made up of approximately 300 people, is located near a large lake about 15 kilometres away from the Xingu River. 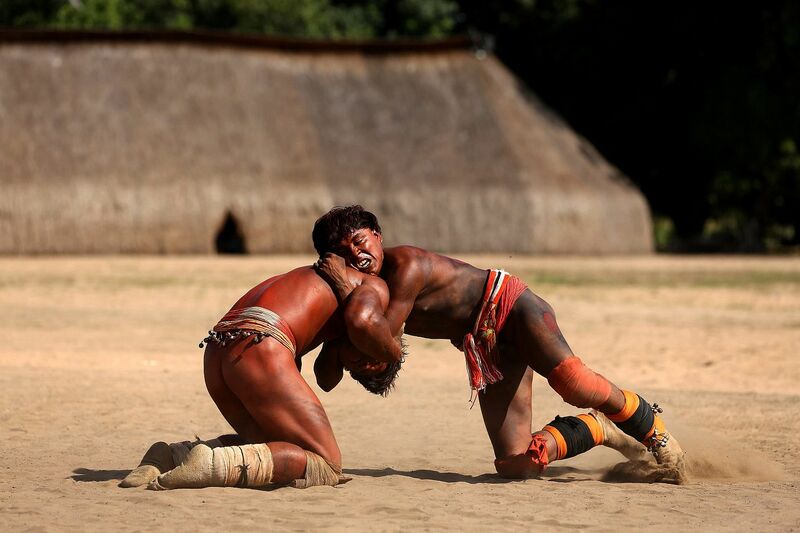 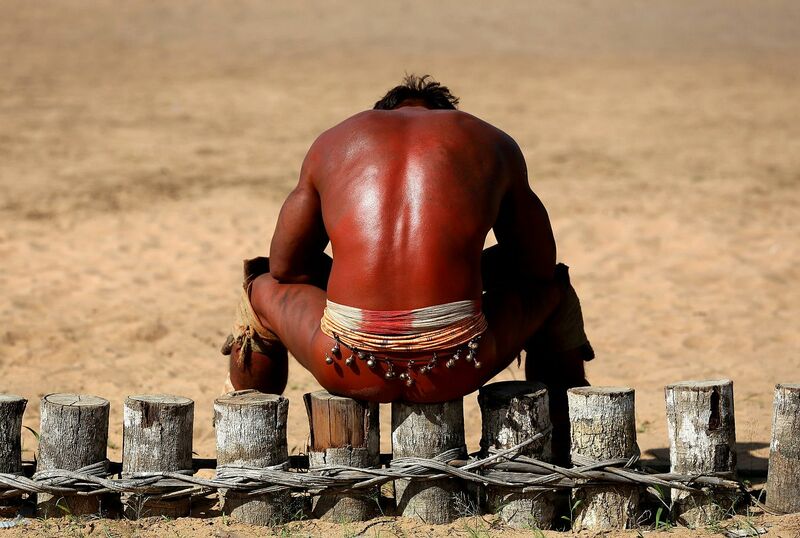 A sport that is unique to the tribes that live in Xingu National Park is a type of wrestling known as huka-huka wrestling. 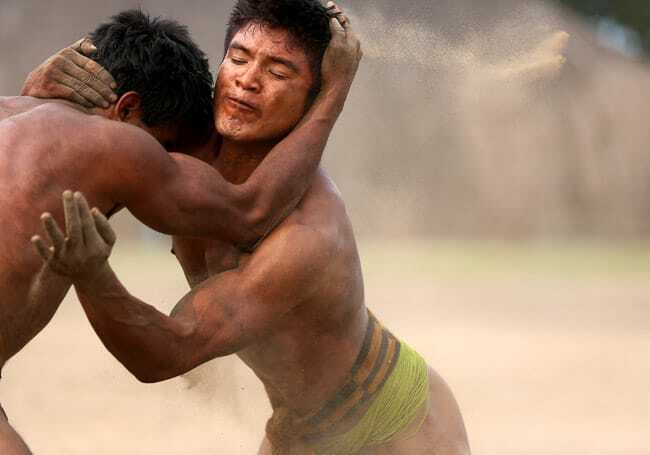 Huka-huka starts with the athletes facing each other before they begin rotating clockwise while imitating the grunting of the jaguar. 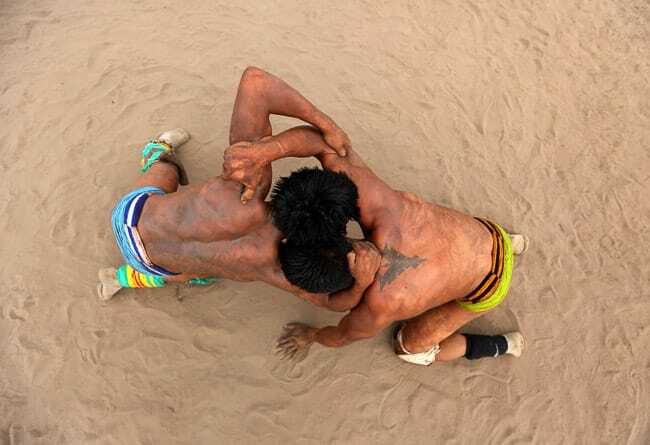 They then kneel onto the ground, shake hands with their opponent and begin wrestling. The men and the boys of the Kamayura tribe wrestle almost every day of the week. 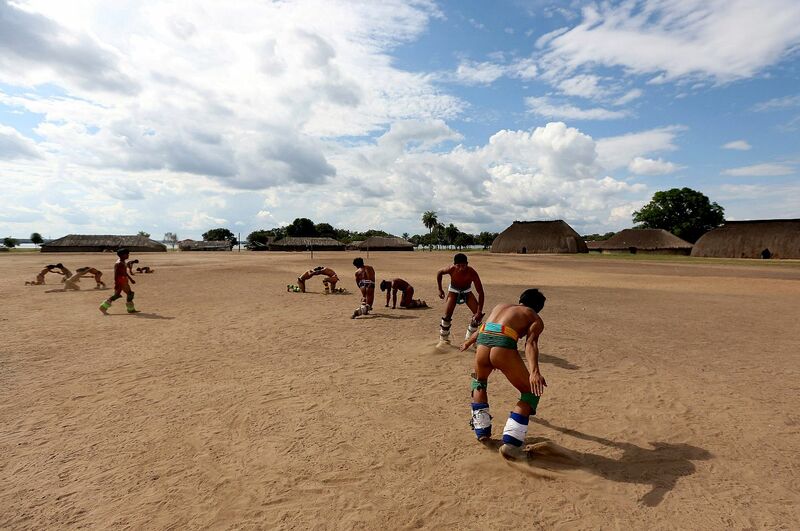 Wrestlers start to gather in the center of the village in the middle of the afternoon and wrestle for about an hour before they go back to doing their chores before dinner.